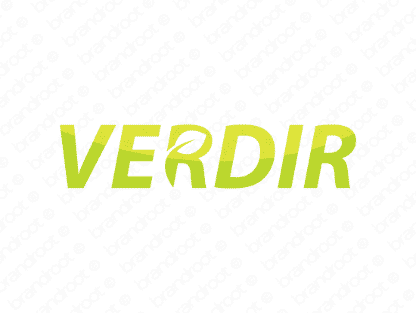 Brand verdir is for sale on Brandroot.com! An exquisite French word meaning "to turn green," this luscious name is right at home with businesses specializing in health or environmental care. Its pronunciation carries a beautiful, lulling flow. You will have full ownership and rights to Verdir.com. One of our professional Brandroot representatives will contact you and walk you through the entire transfer process.